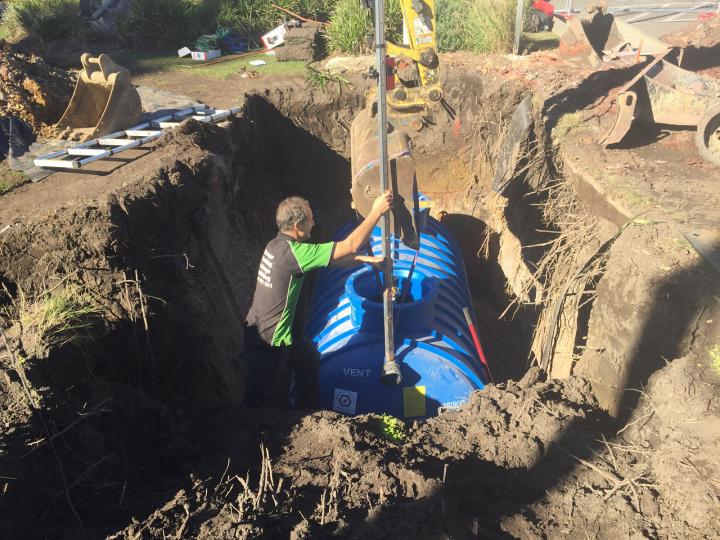 The existing Grease Trap was in the storage area just off the kitchen and the Club needed to have it moved to the outside of the building. 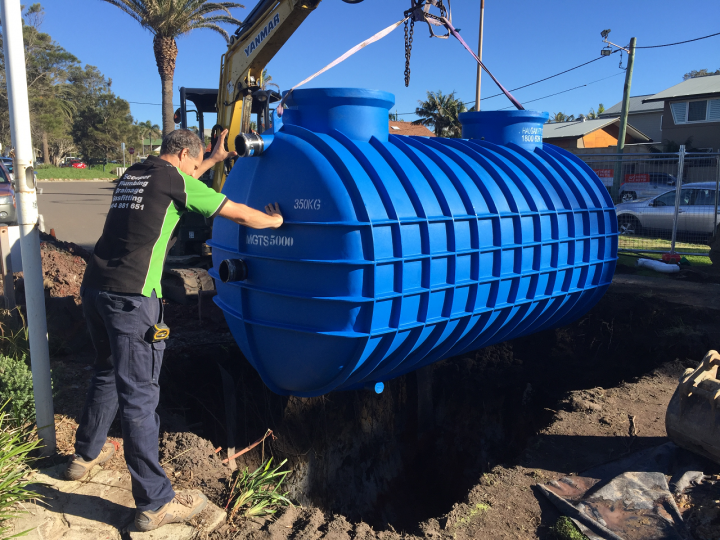 Due to the future renovations they decided to not only to move the grease trap to the area near to the car park but also increase the capacity from a 1500 litre grease trap to a much larger 5000 litre grease arrestor. 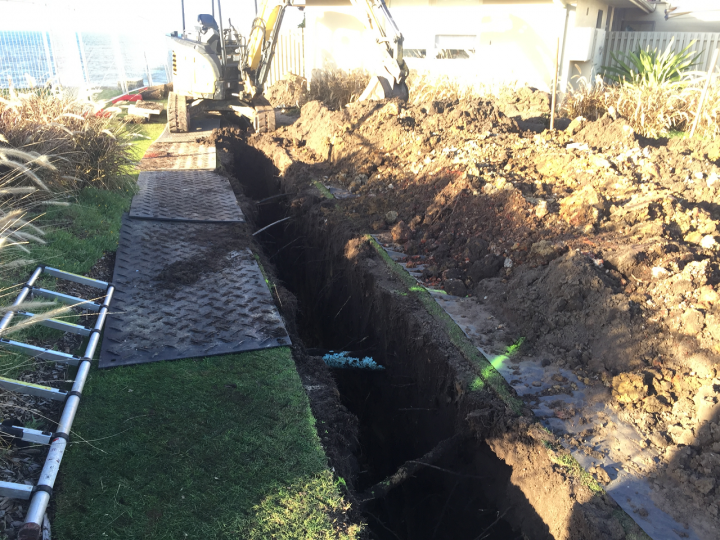 This required a large amount of drainage works to be carried out. 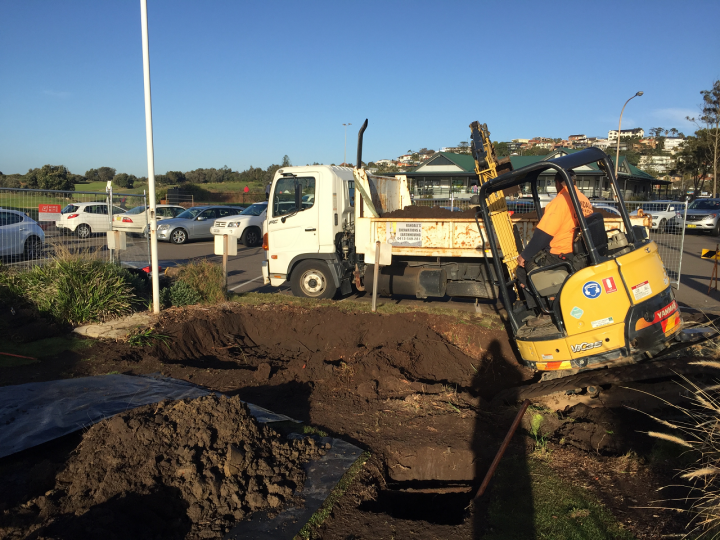 Excessive excavation work and drainage was need to run the 25 metres from the kitchen and from the grease trap to the sewer main another 40 metres down toward the beach. What a beautiful place to be doing drainage. Best views in town. 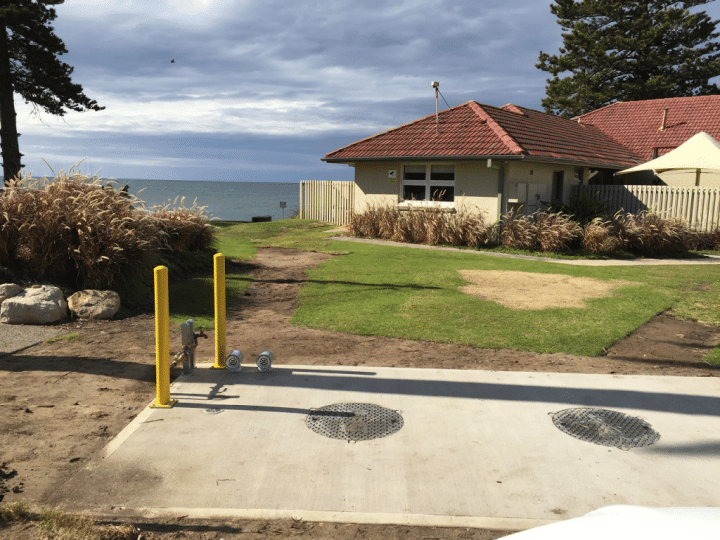 The new 5000 litre grease trap was installed just off the car park and this will be ideal for the grease trap pump out truck to empty the grease trap without needing to come into the store room. 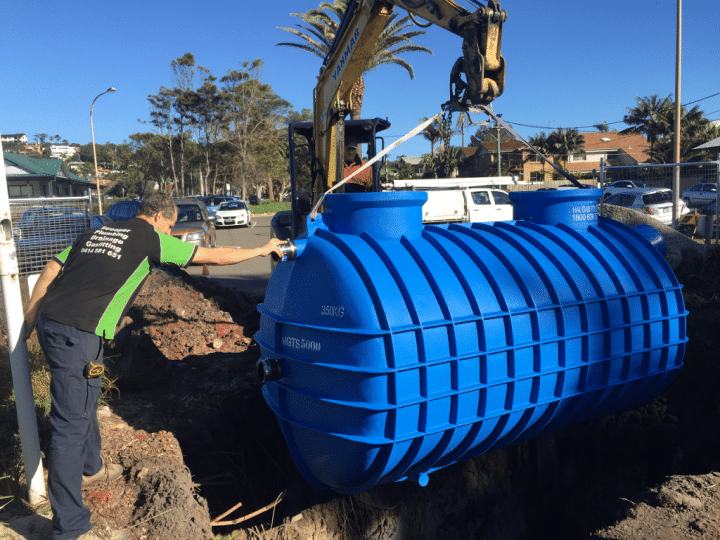 Finishing off this grease trap was a matter of concreting over the grease trap and installing backflow prevention and a hose tap so that the grease trap can be cleaned out at the Sydney Water calculated intervals. 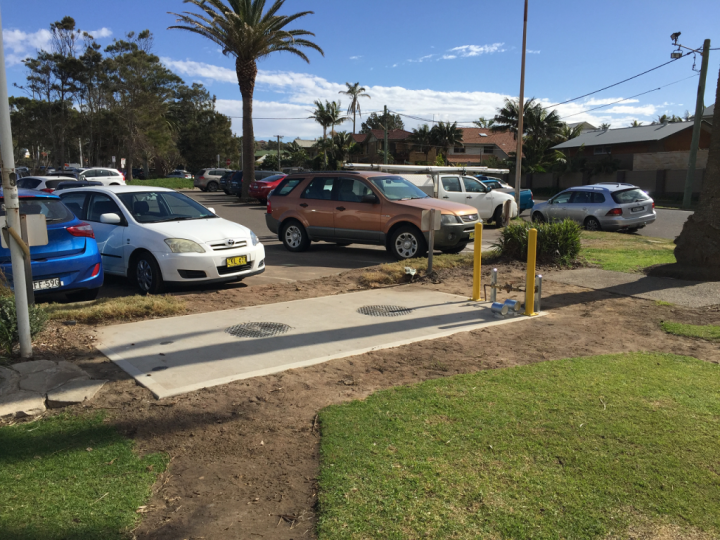 We also needed to level off the ground again and repair some concrete paths. The Club was going to care for the damage grass. 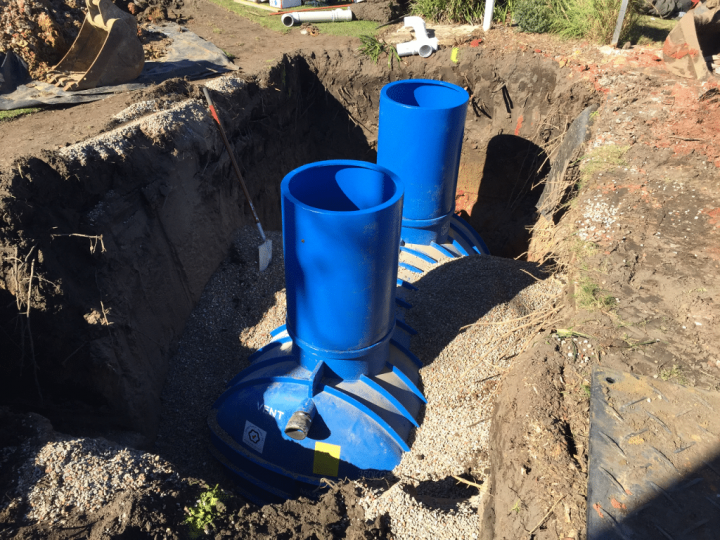 Good planning is a key to having a successfully completed grease trap installation. We spent quite some time at Long Reef working out our levels as the land flowed in different directions. Also the soil was sandy and we needed to prevent drainage trenches from collapsing. 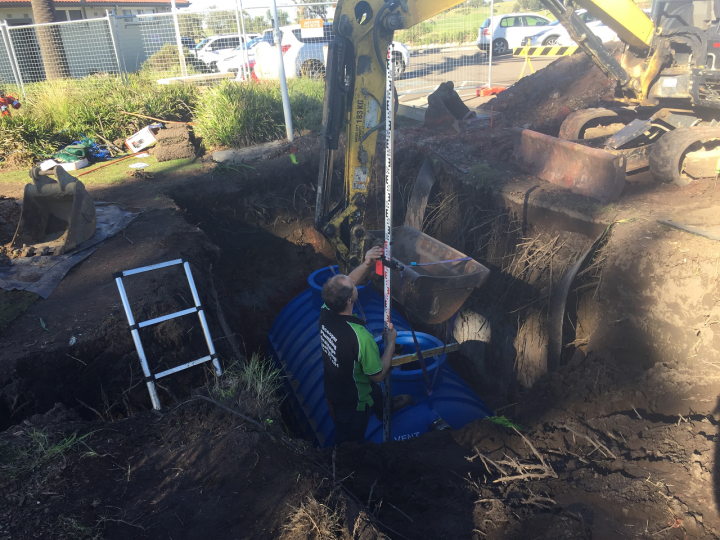 Excavation work is a critical aspect in making sure all levels are spot on and also in the preventing of the grease trap from floating or popping out of the ground later if it is not installed correctly. "Very happy with the work Shannon did and the steady way the project flowed"